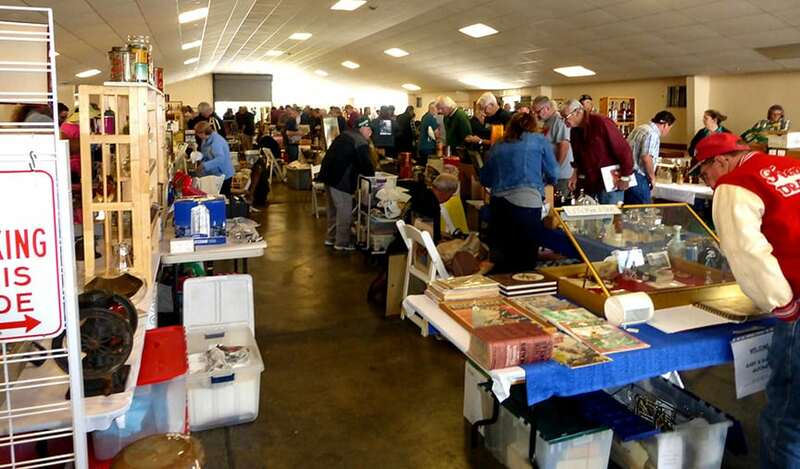 The 52nd GGHBS show and sale of April 14 is now history. 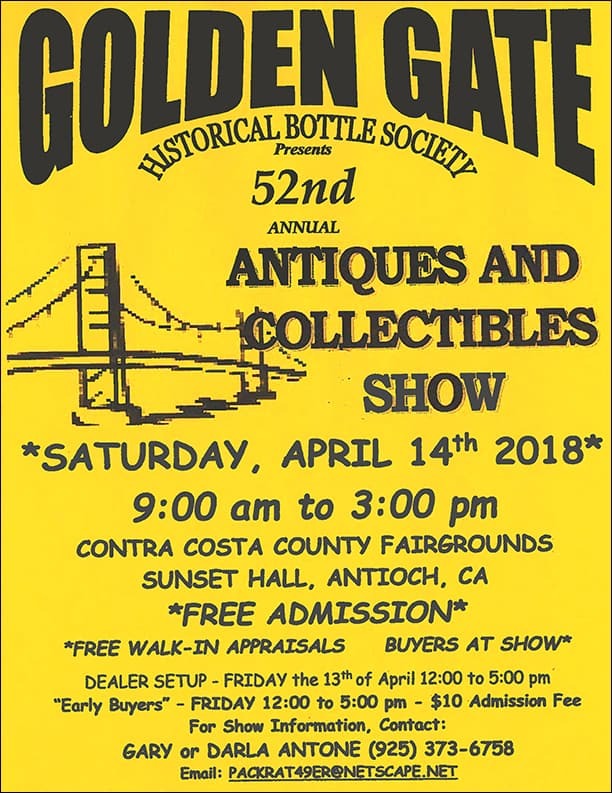 Beautiful Spring weather greeted all attendees who made the trip to Antioch, California. 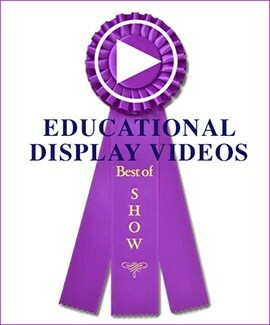 Attendance held steady as it has for many years at this show. The usual mix of bottles were presented for sale but, as usual, very few newly dug bottles made their way to the tables. This is a trend I have noticed for a number of years now and one that will probably not reverse. A strong showing of early lookers was immediately on hand with the hopes of finding some elusive treasures. 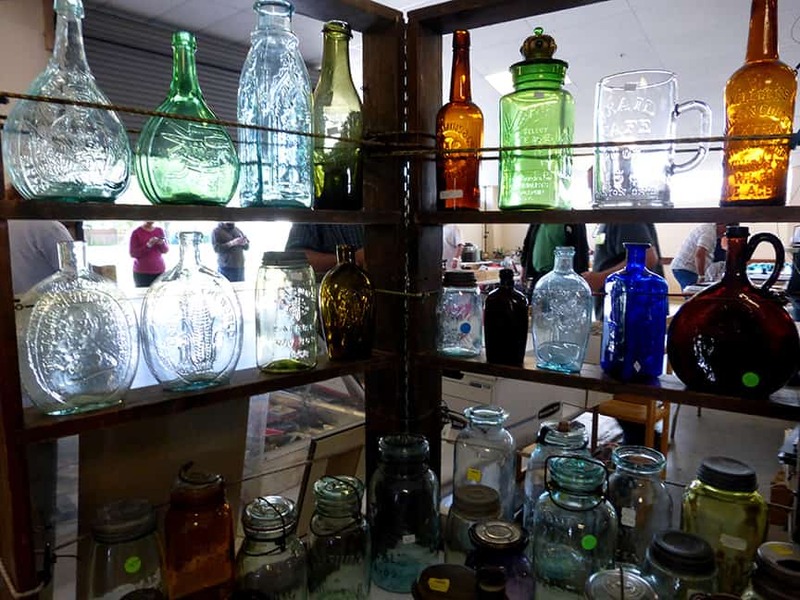 Randy Taylor of Chico, California, specializes in fruit jars but always carries a variety of items. A fair number of insulators were offered for sale, including a large grouping of EC&M specimens. These are a decided favorite of western collectors as they were made in San Francisco. 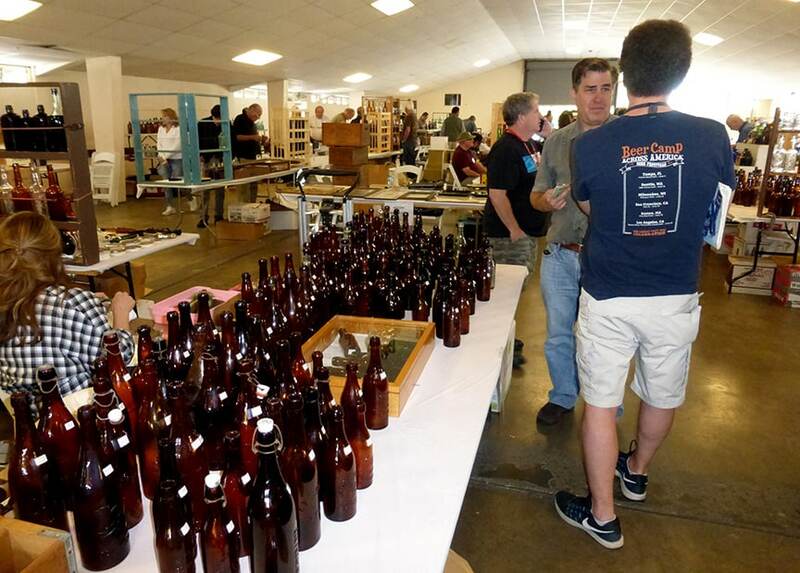 If one is interested in California beer bottles it is nearly mandatory to stop by the table of Dr. Tom Jacobs (facing camera), who has more than anyone than I am aware of. He has specialized in the subject since well before he was legally able to drink the stuff. 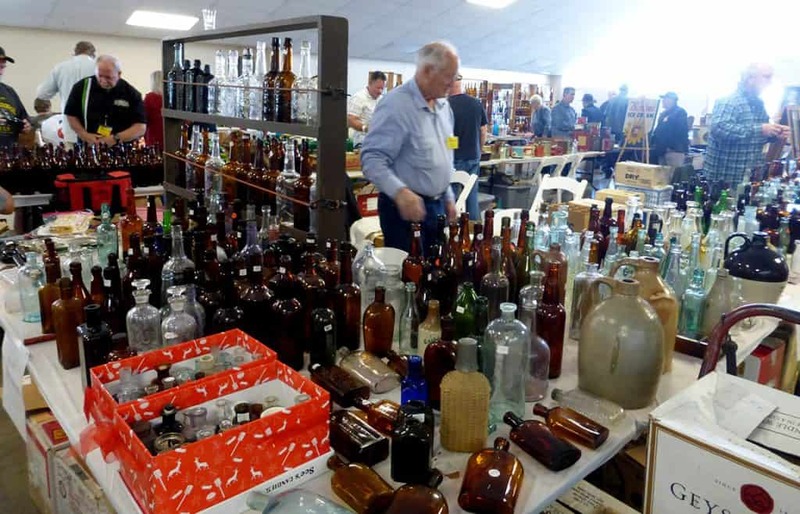 Western bottle icon and past FOHBC president, Richard Siri, stands amid a sea of bottles on his sales tables. Under his breath he told me he would sell everything for half price if you were willing to take it all. I don’t think he was kidding. 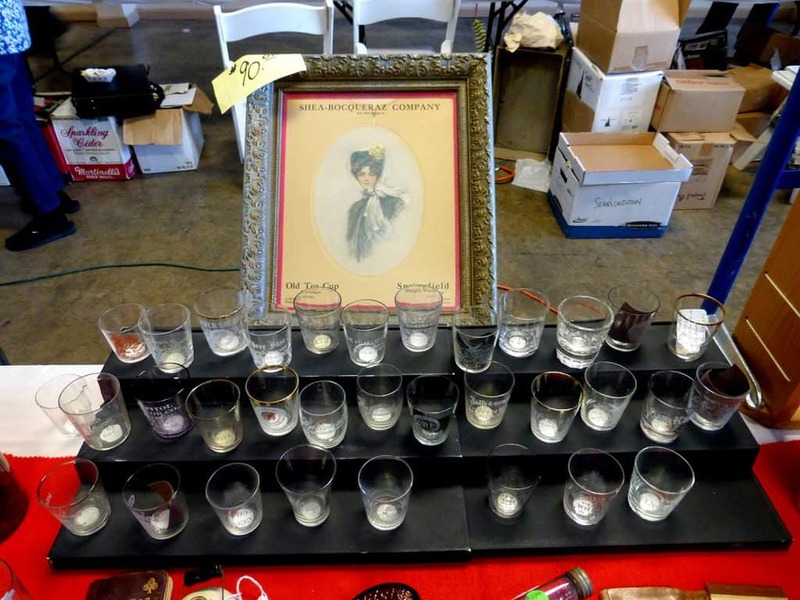 Among the many whiskey related items being sold by Jim and Julie Dennis was this fairly large selection of advertising whiskey shot glasses. 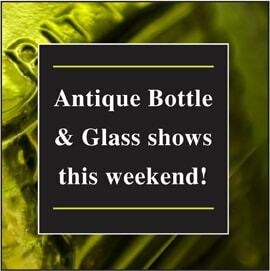 These glasses are becoming very difficult to find nowadays unless they come from existing collectors. 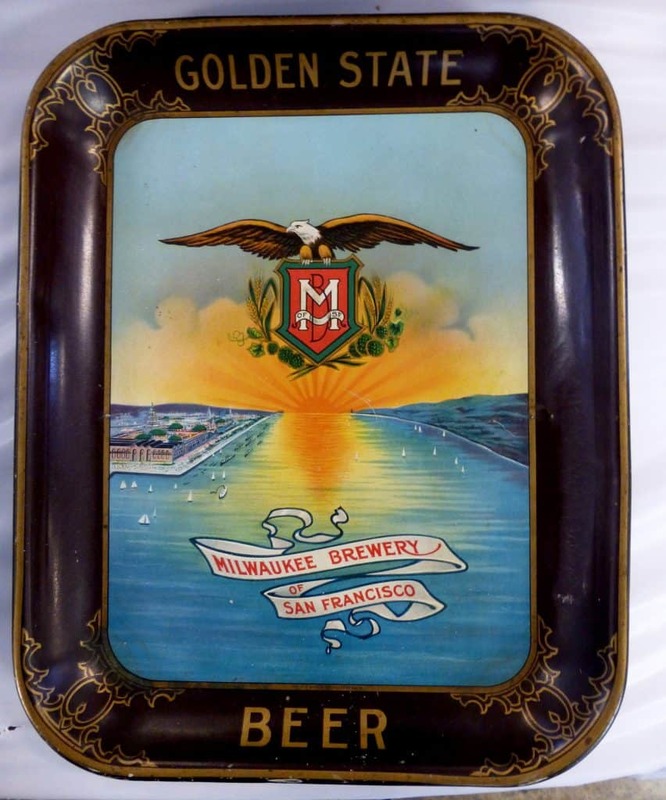 A number of very nice advertising pieces were noted including this beer serving tray. Perhaps the thing that most impressed me. 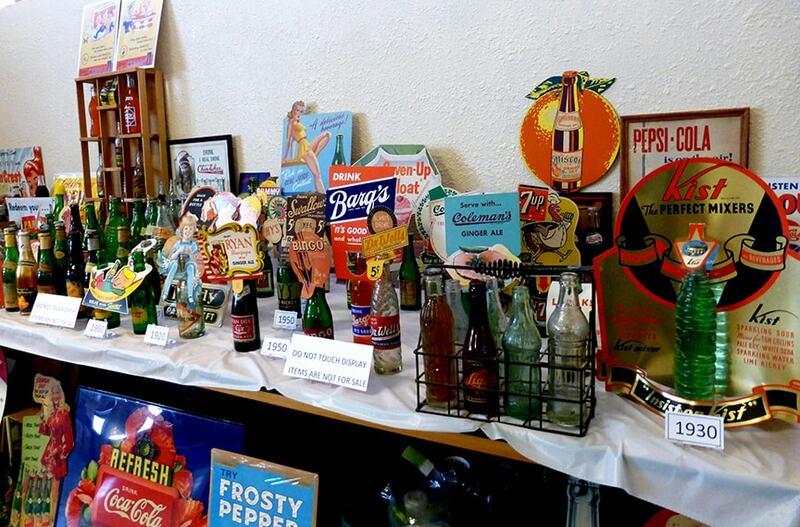 I have never really cared for bottles that may be younger than I, but I was really impressed by a fabulous display of painted label bottles displayed by Greg Roberts. 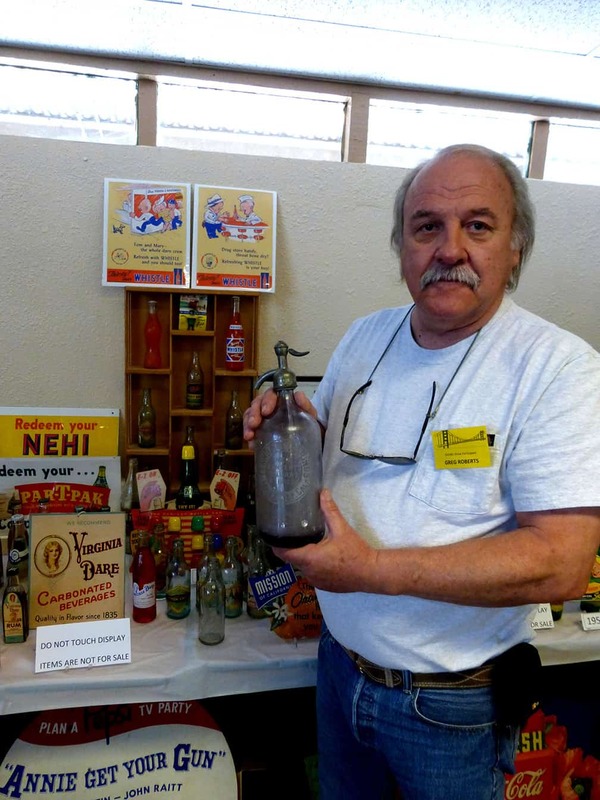 Displayer, Greg Roberts, holding a Ferndale Springs seltzer bottle from Martinez, California. 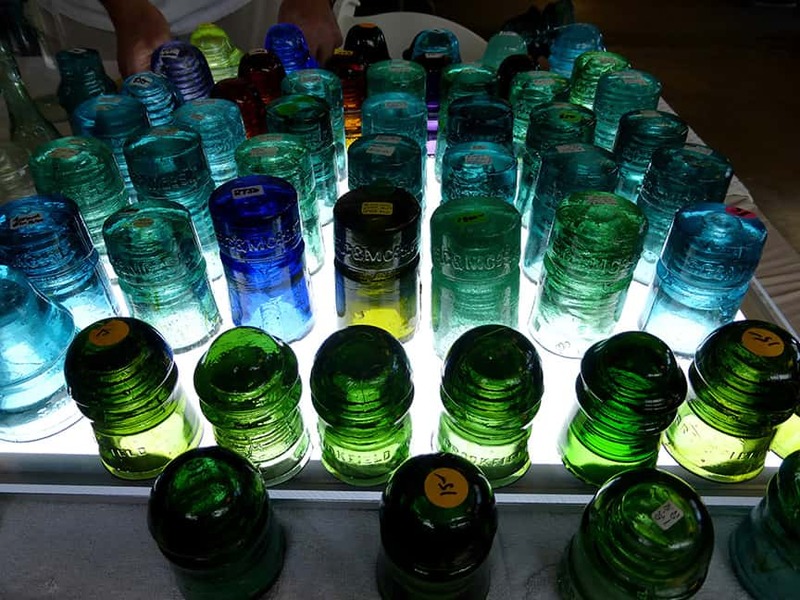 Greg has refilled a number of his bottles with soda water, thus giving them a colorful appearance, as well as looking yummy. Great idea! I have been trying to grasp why Greg’s display spoke to me so loudly, then I realized – pure nostalgia. 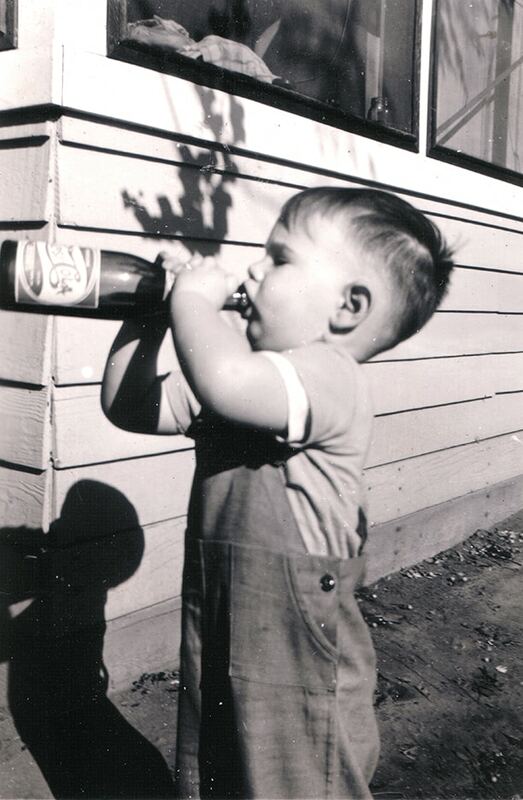 Yes, that is me taking a swig of Pepsi Cola on a sweltering summer day in Tulare County, California, in 1944. 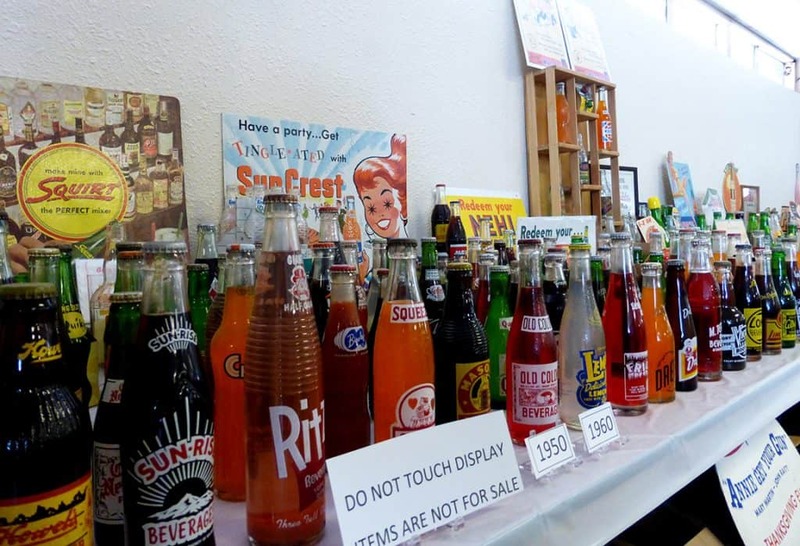 I grew up with those bottles! 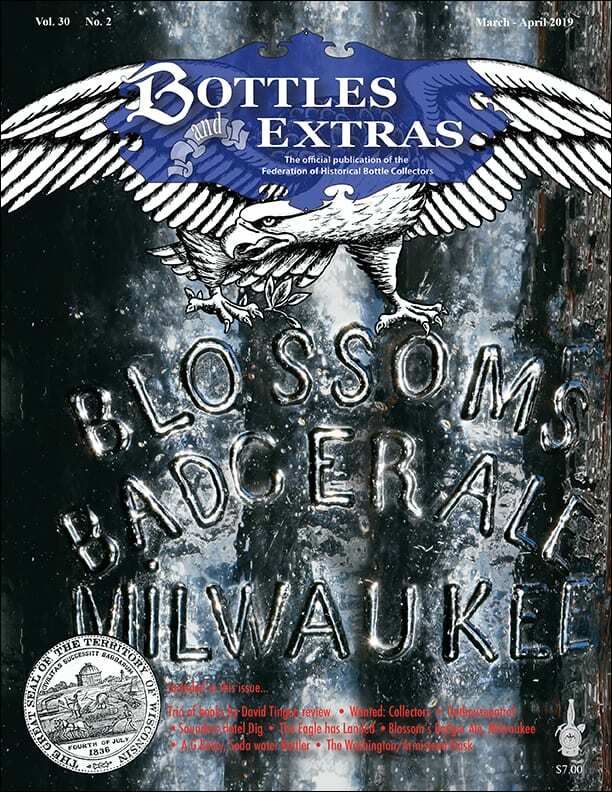 And, the colorful contents of Greg’s bottles simply sent me right back to that bin of soda water on ice so many years ago. Another look at Greg Roberts’ wonderful display. Thanks for the memories, Greg.